The shape of this charm evokes nature and magic realism. 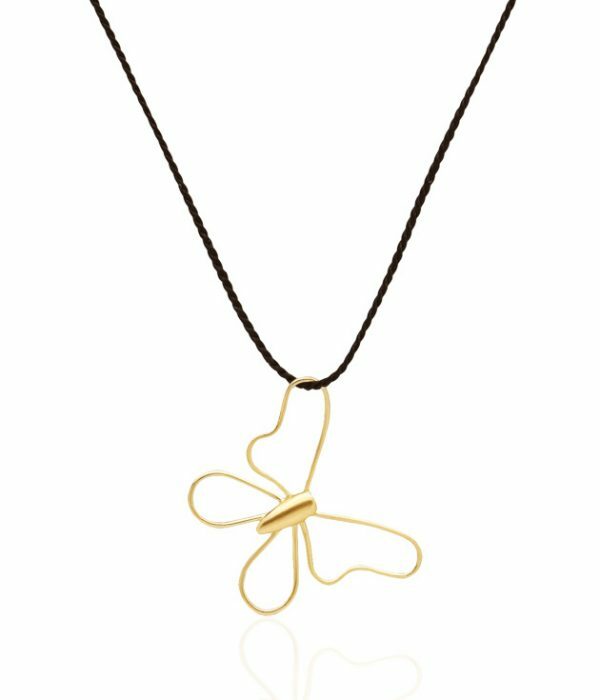 With butterflies in gold from an imaginary place called Macondo, we pay tribute with this charm to the Colombian Literature Nobel laureate Gabriel García Márquez. This delicate faunal motif pairs gorgeously with our Chia earrings and combines perfectly with our Mariposa bracelet. 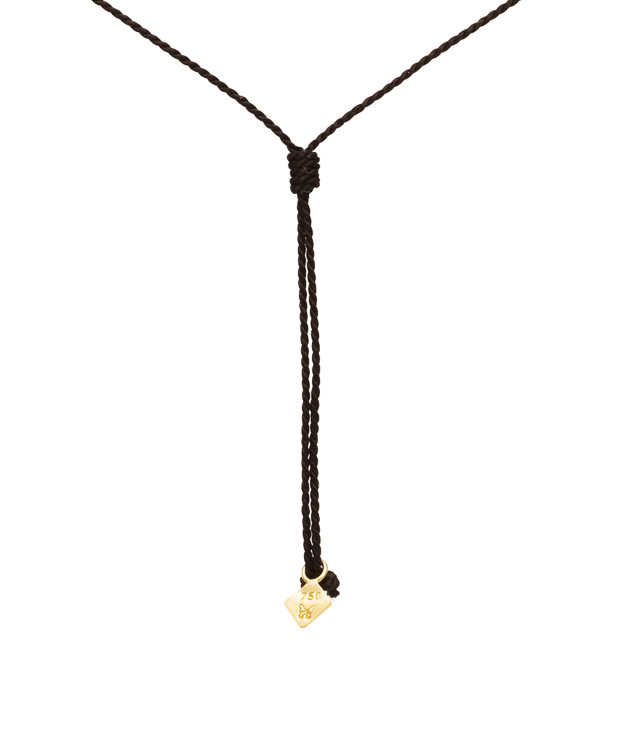 The charm hangs from a 100% Natural Silk Cord. Adjustable up to 30 cm hanging. It is accompanied with our registered butterfly hallmark and the 750 (18 carat) stamp. he gold in this jewel is sourced from artisanal and small-scale responsible mines in Colombia and processed without the use of mercury, cyanide or other harsh chemical. 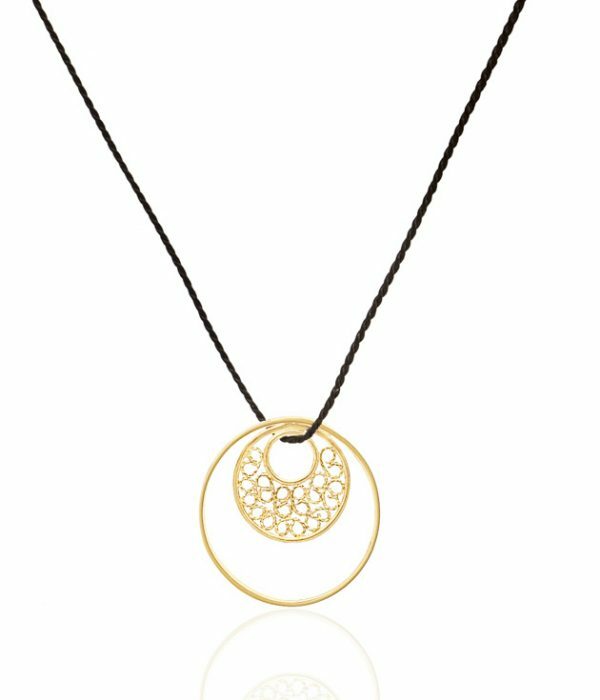 Amalena is the first ever social enterprise fine jeweler to offer a hand-crafted collection involving ecological gold, responsible mining practices, and local artisans. 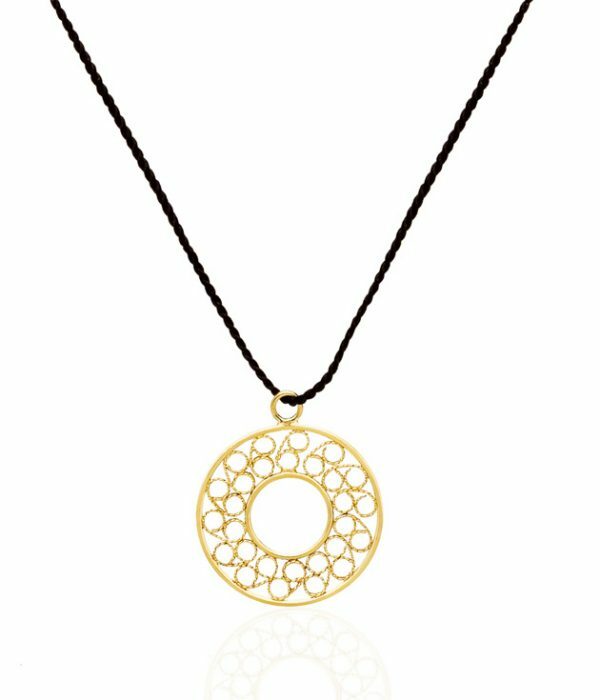 We are proud to offer handcrafted jewelry made with 100% eco-friendly gold. The shape of this charm evokes the people of sand, sun and wind: the Wayuú. The intricate form is inspired by the traditional face painting of Wayuú women, and is formed in the shape of the moon (“kashin” in their language). This charm is a unique and elegant design of the symbol of love. 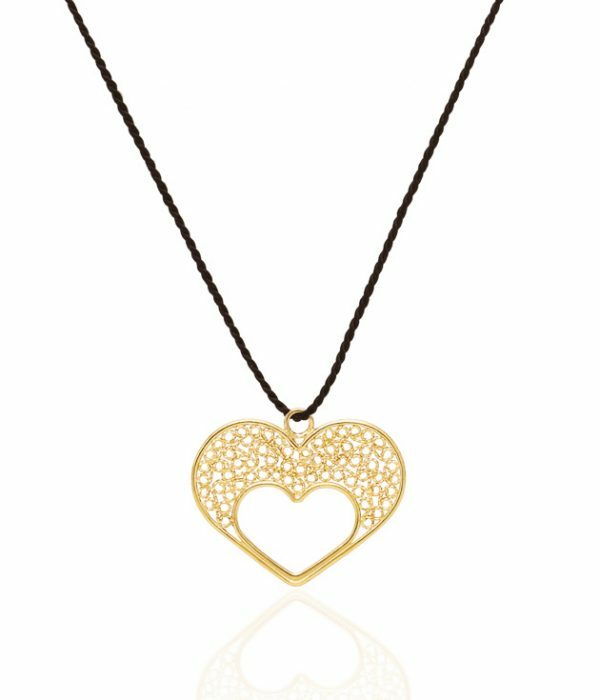 A heart contained in another heart surrounding by delicate traditional filigree forms called “caracolies”. The filled and empty hearts create a perfect harmony in this piece. This jewel evokes unity and balance, which is reflected in each hearts’ counterpart. The Kogi people see themselves as the guardians of the heart of the world, the center of the environmental state of the earth and call themselves the ‘elder brothers’. This perfectly balanced charm was inspired by Aluna, their mythical great mother. Before the start of the world there was only Aluna; and everything was contained within her. She was the origin of thought, of nature, and the world. 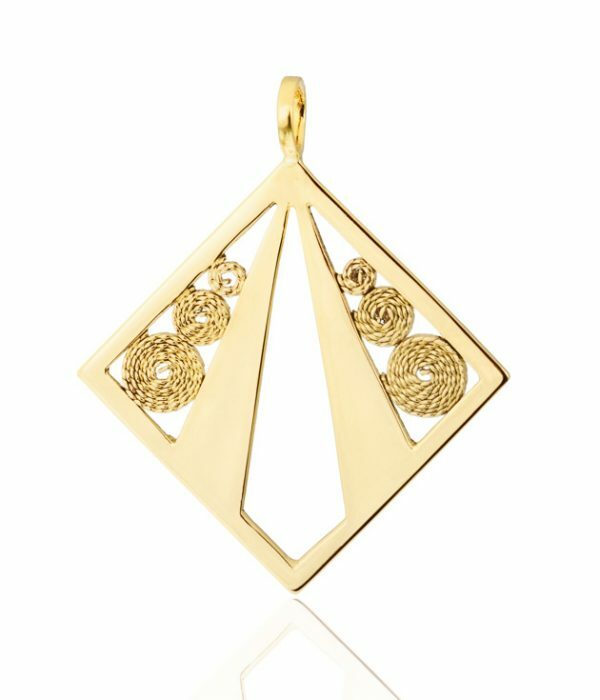 The name of this exquisite pendant honors the Colombian heroine Gaitana, a tempestuous indigenous leader. This sophisticated and unique design is a tribute to all the passionate women who believe in themselves, and who use their spirit and ingenuity to inspire a better world.